Do you want to grow your email list with a lead magnet? Offering a lead magnet like a free ebook in exchange for your visitors’ email addresses is a great strategy to grow your email list. In this guide, we’ll show you everything you need to know to set up a lead magnet newsletter campaign in WordPress. Lead magnets or optin bribes are incentives you offer to your newsletter subscriber in exchange for their email addresses to grow your email list. 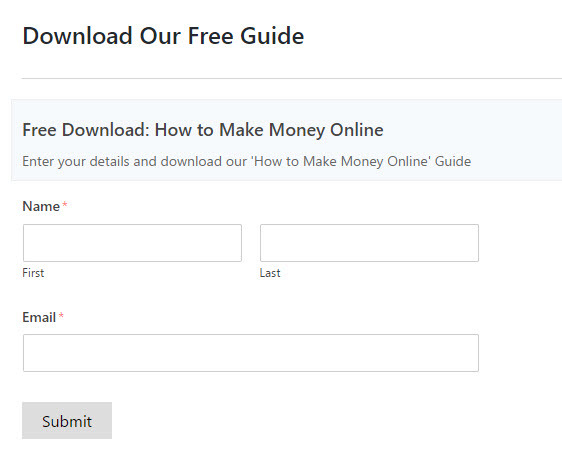 You can offer a downloadable resource as a lead magnet to your subscribers such as PDF ebook, report, whitepaper, etc. Offering a lead magnet for email subscription encourages your visitors to submit their email addresses. Undoubtedly, it is one the best ways to tremendously grow your email list. Before we get started, you’ll have to decide on what lead magnet you’re going to offer to your subscribers. It could be a PDF ebook or any other digital resource. For more lead magnet ideas, you can read 69 irresistible lead magnet ideas. Once you decided on the lead magnet, you can create it and upload it to your WordPress website. You can upload your lead magnet just like you upload an image through the Media library by visiting Media » Add New. Alternatively, you can upload it to a cloud storage service like Google Drive or Dropbox. You might want to block search engines, so it isn’t indexed. You can use the robots.txt file of your site to not index your lead magnet. To hide it from search engines, here is how you will add this URL to your robots.txt file. For more details, you can read how to hide a page from Google. Next, you’ll need to set up your lead magnet signup form. To do this, install and activate the WPForms plugin. You can learn how to install a plugin here. 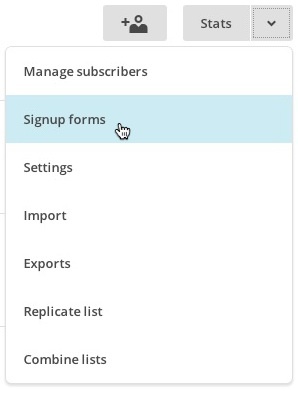 WPForms comes with tons of different addons that let you connect your forms with several email newsletter tools like AWeber, MailChimp, etc. Below are a few tutorials that explain how to create a newsletter signup form with your preferred email service provider. If you’re using any other email newsletter tool, you can still create a newsletter form by connecting it with our Zapier addon. In the signup form, make sure to explain about the lead magnet you’re offering. 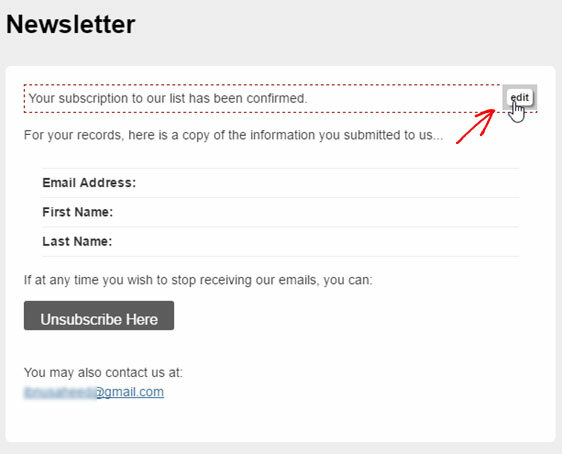 This can encourage your visitors to subscribe to your list. Once your visitors subscribe to your list, you can direct them to a page that confirms that they’ve been successfully added to the list. This is where your visitors can download the lead magnet. By default, your email service provider hosts both these pages on their website. It is always recommended to create a custom confirmation page and host it on your own website, so you can use your website’s branding on that page, in turn increasing engagement. To create a confirmation page, go to Pages » Add New. Here, you can thank your subscribers for signing up, and provide a link to your lead magnet so they can access it. If you’re using MailChimp, you can redirect your subscribers to the confirmation page by logging into your MailChimp account. Navigate to your Lists page and click the drop-down menu next to the list you want to work with. 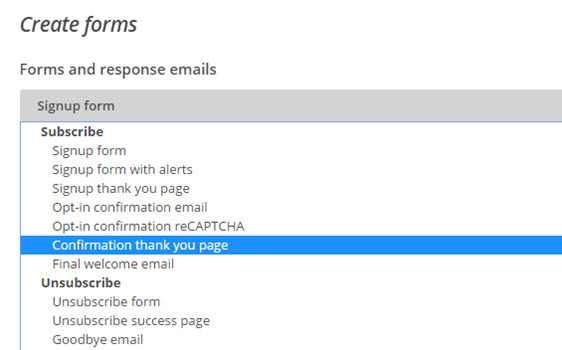 Click the forms and response emails drop-down menu and choose Confirmation thank you page. In the Instead of showing this thank you page, send subscribers to another URL field, input the URL where you host your custom page. Then click Save. If you’re not using MaiChimp, you can follow the below guides from your email service provider to create and configure custom URL for your confirmation page. 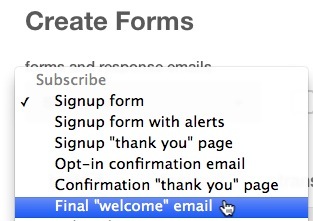 Again, if you’re using MailChimp, you can go to the General Forms page just like the above step. Select the Final welcome email from the forms and response emails drop-down menu near the top of the page. In the Build it tab, click inside the red dashed lines to open the editor. Customize the welcome email and provide a link to the lead magnet. We hope this guide helped you to create a simple lead magnet campaign in WordPress. If you like this article, you might also want to read our guide to get more thank you page ideas. Do you want to create more advanced lead magnet optin forms? We recommend using OptinMonster’s exit intent popup technology. With OptinMonster, you can use these popup hacks to skyrocket your email list. If I want to use mailchimp’s welcome email to deliver the lead magnet, I will need one list for each lead magnet, correct? So if one user wants to download several lead magnets, he/she would have to subscribe to several lists and I will have them duplicated…. right? This depends a bit on what you have in mind. A lead magnet is generally intended to ‘tempt’ users to sign up for your mailing list — so most often sites will just use this approach once (even if the user gets signed up for more than one mailing list). If you wanted to try this approach, MailChimp has something called ‘groups’ that can help you to reduce the number of mailing lists you have. So in a single mailing list you can have as many groups as you like and even send targeted campaigns to specific groups (here’s more detail from MailChimp’s site). From there, you could send additional download links, etc to your subscribers if you’d like. In case it helps, here’s a screenshot of MailChimp integration on my test site. This shows MailChimp groups being used, as well as conditional logic (so I’m signing users up to different groups based on their selections in the form). 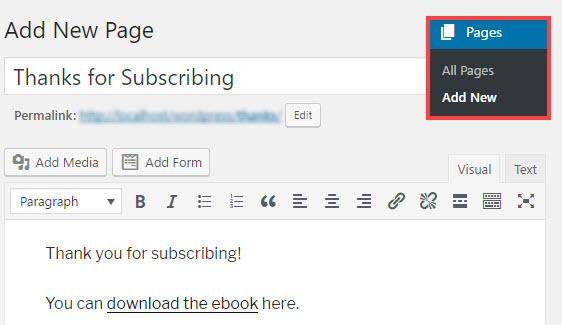 When you create the confirmation page on WordPress, won’t others just visiting your website then have access to that page with the download info without having to subscribe? Also, if I have a bunch of different free content I’d like to share (ex. Free game printables in a post I wrote about baby shower games … or a free sign printable they can download to place on a gift basket post I made) in exchange for their email – would I use “groups” in mailchimp to automatically send them the specific material they are wanting? And then would they be automatically in the main list – receiving my “main welcome letter” too after receiving their specified free content they signed up for? I’m so confused. 1) MailChimp Welcome Email: This is the first email your subscribers get, right after subscribing. So this is where you’d add your lead magnet download link — whatever you used to ‘tempt’ the user to sign up 🙂 Here’s MailChimp’s tutorial on this, which they call a ‘Final Welcome Email’. 2) Regular MailChimp Campaign Emails: These are all of the other emails you send out to your subscribers. What you include is totally up to you (you can send links to free downloads, newsletter content, etc). Here’s MailChimps’s tutorial on starting a campaign. All MailChimp emails, though, are set up 100% through the MailChimp site and not managed through WPForms. Our forms will just get this process started by building up your subscriber list. And in case it helps, here’s our tutorial on connecting to MailChimp Groups. Is there a way that I can have the lead magnet form pop up on my website (wordpress) when someone first clicks on my site? Yes you can definitely do this — however, the approach will depend on which popup plugin you use. In case it helps, here’s our tutorial on using OptinMonster (our sister company) for a form popup. In OptinMonster, you can set display rules (more on that here) to decide when a popup displays (such as ‘after X seconds’ or only on certain pages). If you’d prefer to use a different popup option, I’d recommend checking out their docs or getting in touch with their support team to find out if these kinds of settings are available/how to set that up. Hi, With mail chimp, does it work with yahoo within wordpress.org. ? Also, how many subscribers does mail chimp work with, I’m just starting out, so I only have a few at present..will I lose my present subscribers if I change to mail chimp? Final, third question, will my subscribers get a notification that I have published a new blog post, and do I need to do some settings or something to connect/make mail chimp and yahoo talk to each other? In order to get the most expert answers to your questions, I’d recommend reaching out to MailChimp’s team. While we can assist with integrating WPForms with a MailChimp account, the questions shared here are fully about setup within MailChimp and so their team will be able to assist you best.